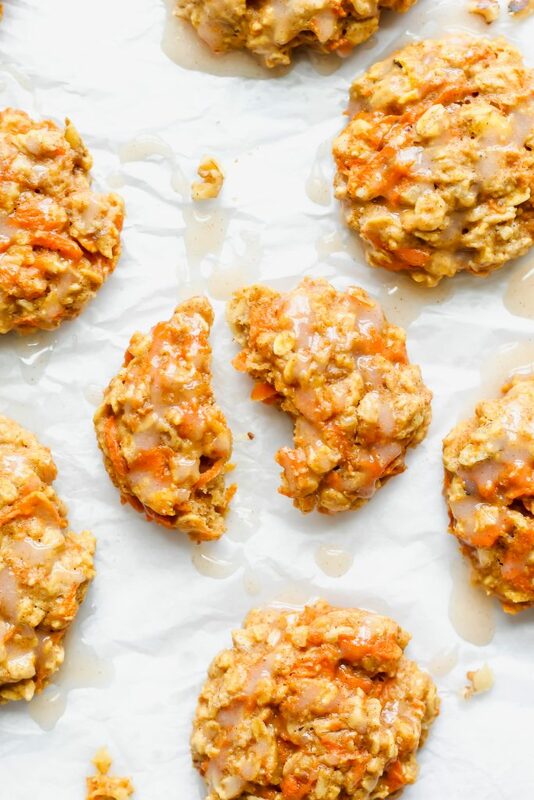 These Carrot Cake Breakfast Cookies are loaded with wholesome ingredients like oats, carrots and walnuts! 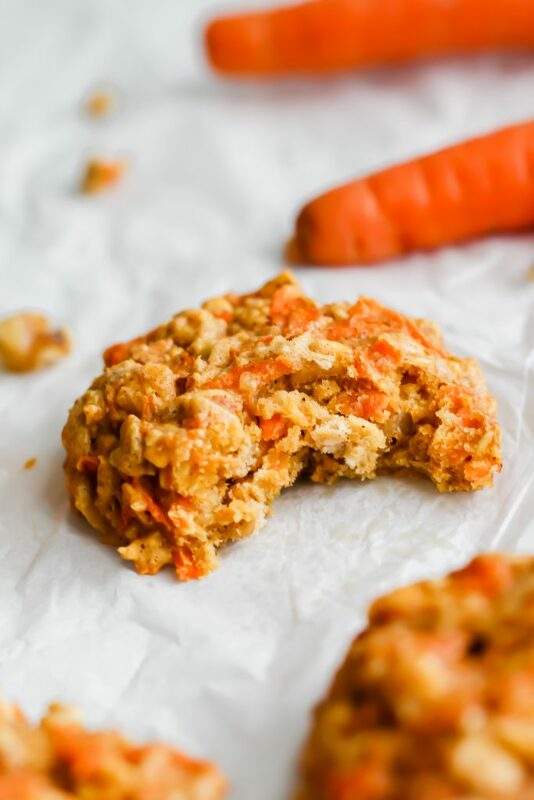 They are loaded with the cozy carrot cake spices you know and love and they’re perfect for meal prep! Listen y’all, when it comes to desserts, I’m all about chocolate. But when it comes to my favorite ever dessert, like the cake that I ask for every year for my birthday, the one dessert I would eat with my last meal…I have to give that honor to Carrot Cake! What are classic carrot cake flavors? There’s just something so comforting about carrot cake. From the cozy baking spices like cinnamon, nutmeg and clove to the decadent cream cheese icing, to the warm spiced cake on the inside that’s perfectly soft but also has texture due to the carrots and walnuts. IT’S THE BEST. 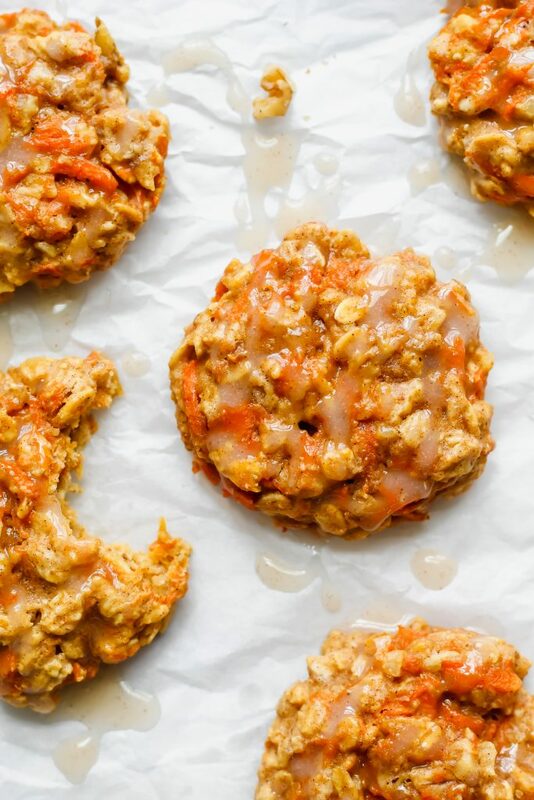 So when I began developing this recipe, I knew I wanted to keep the same things that I loved about carrot cake but instead wrap it up into a cute lil breakfast cookie that felt wholesome and delicious but also still somewhat indulgent. 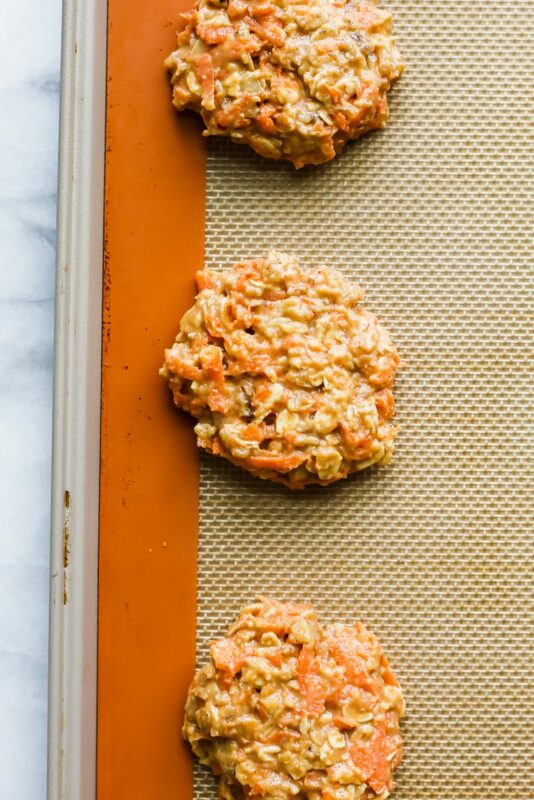 And that’s exactly what I did with these Carrot Cake Breakfast Cookies! They’re soft on the outside, they have that wonderful chunky but soft carrot cake texture on the inside. They’re not overly sweet – instead, the maple syrup lends the perfect amount of sweetness combined with the natural sugar of the carrots. If you want to make them a little bit INDULGENT you should most definitely make the cinnamon icing glaze. It’s optional but also delicious and why wouldn’t you want to treat yourself?! The icing glaze is slightly spicy from the cinnamon which helps balance out the extra sweetness. 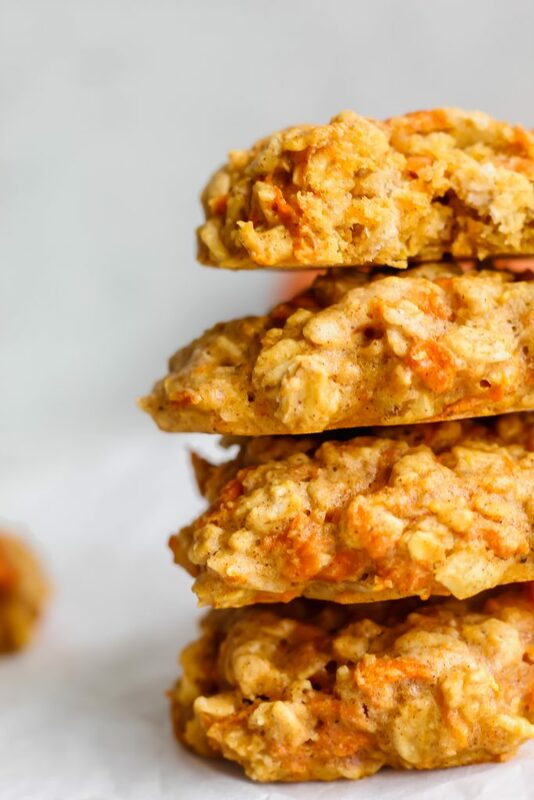 It gives the cookies an extra bit of sweetness and I loved the glazed taste on the outside! Preheat the oven to 350 degrees. Shred your 1-2 carrots which should yield about 1 cups worth. Roughly chop ½ cup walnuts. Set those aside as well. In a large bowl, add oats, flour, baking powder, spices (cinnamon, nutmeg, ginger and salt). Mix to combine. To this, add cooled melted butter, egg and maple syrup, vanilla extract. Mix to combine. TRY NOT TO EAT WET INGREDIENTS. Or wait, do I just need to tell myself that?! Lol! I let them cool on the baking sheet for about 5 minutes and then transferred them to a wire rack. Oh, and I totally forgot to mention the amazing icing you MUST MAKE to put on top of these! It’s super easy. All you have to do is whisk together powdered sugar, milk, cinnamon and vanilla if desired. Make it as thick or thin as you’d like. For me, about 6 tbsp of powdered sugar + 2-3 tbsp of milk was the right consistency. Generously drizzle on top of the cookies once they are on the wire cooling rack. 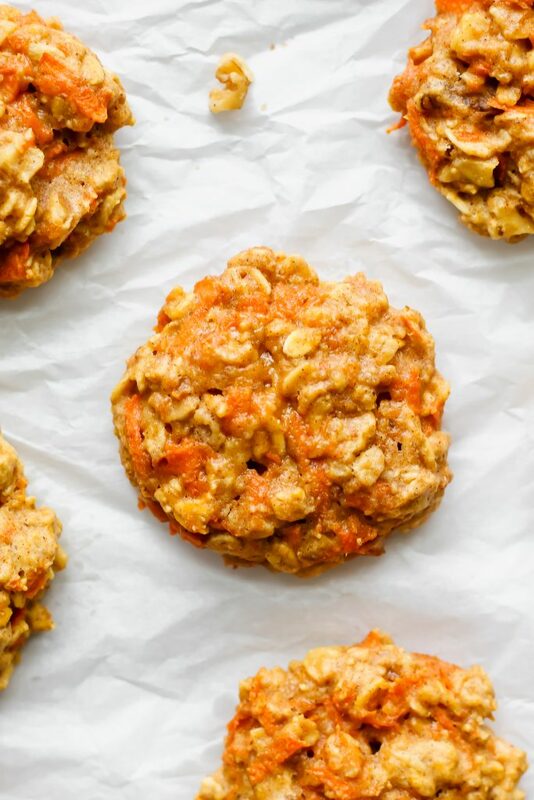 Eat these in the morning with coffee, as a snack on the go, or just anytime! Enjoy! Preheat oven to 350. Prepare baking sheets by lining them with parchment paper or silicon mat. Set them aside. Shred 2 medium carrots to make about 1 cup worth of shredded carrots. Roughly chop 1/2 cup of walnuts. Set these aside. In a large bowl, add oats, flour, baking powder, salt and spices (cinnamon, ginger, nutmeg and salt). Mix to combine. To the bowl, add egg, maple syrup, cooled melted butter and vanilla extract. Mix gently to combine. 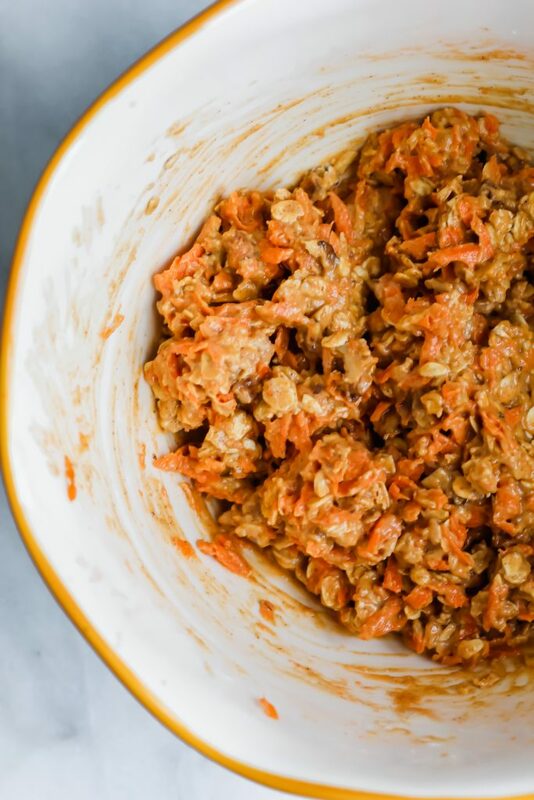 Lastly, gently fold in your chopped walnuts and shredded carrots. Using a tablespoon or a cookie scoop, scoop about 1 tbsp worth of dough into your hand, roll it into a ball and set it on the baking sheet. Gently mash it down until it looks more like a "cookie" (see photo above for reference). I fit about 8 per baking sheet. Bake for 10-11 minutes. Do NOT overbake. They will become too dry and cakey. They may not look all the way done when you take them out at 10 minutes, but let them sit on the baking sheet for 5 minutes to cool. After, transfer to a wire rack. Mix together powdered sugar, cinnamon, and milk in a bowl until desired consistency. If you want it thinner, add more milk. Thicker? Add more powdered sugar. Drizzle a generous amount over the cookies once they are on the wire rack. Enjoy! 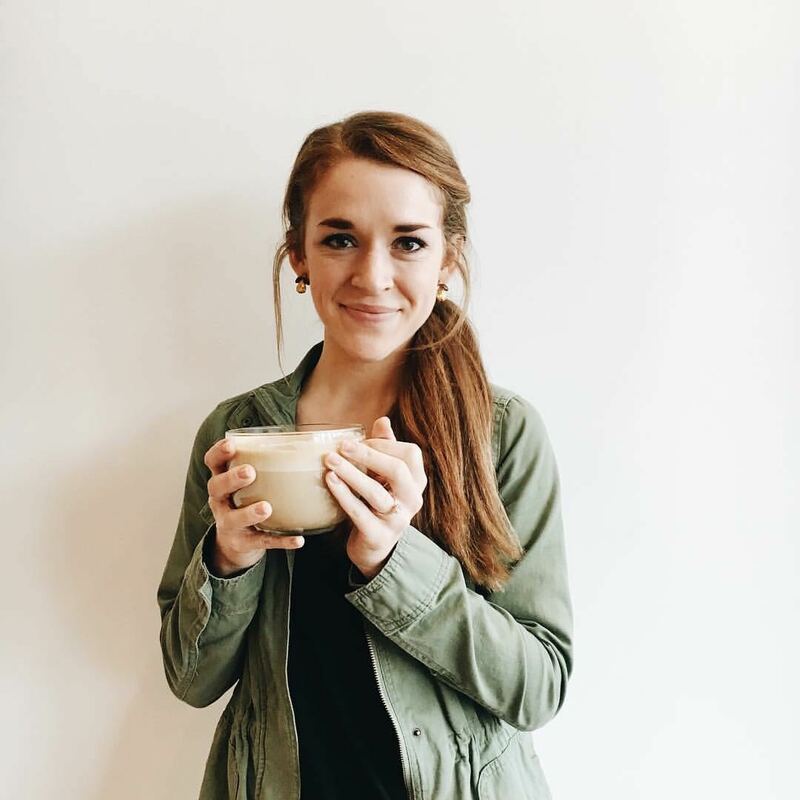 I’m with you Haylie, carrot cake is my birthday cake of choice and would definitely be a part of my last meal! 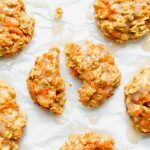 These delicious looking breakfast cookies would be a great way to sneak the flavours of carrot cake into breakfast and would be perfect for breakfasts on the run!